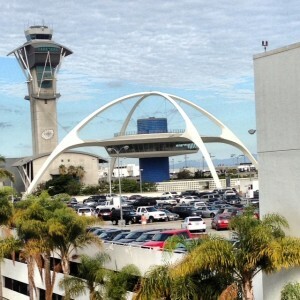 LAX Airport is now better than ever with the nearly 2 billion in upgrades to The Tom Bradley International Terminal. Over the next few years, additional improvements will continue to help greet the 63 million visitors that come through LAX. Glitterati Tours is one of the few private charter tour companies granted permission to enter LAX Los Angeles International Airport. 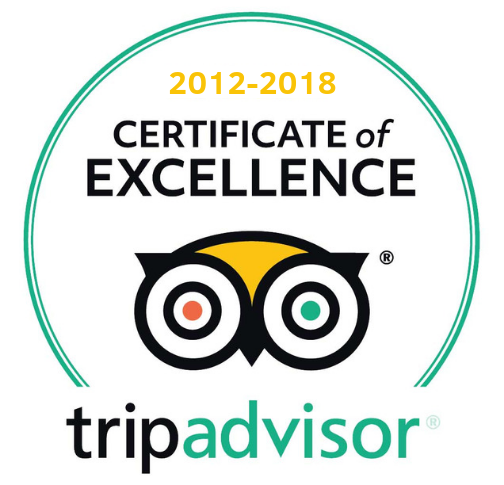 We are thankful for this privilege, since many of our domestic and international travelers request roundtrip sightseeing tours of L.A. during their extended layovers. We can pick up our guests at their LAX terminal, provide a fantastic customized city tour, and return them back to the airport for their flight continuation. Have more time in the city? — We can even pick up our guests at LAX, conduct a private tour, and deliver them to their local hotel when the tour is completed. Note: During our busiest seasons such as summer vacations, Spring Break, and December holidays, service to and from LAX may not be available due to time constraints. If guests have the time to take a taxi or ride sharing service into Hollywood to start their tour, we could have much more flexibility in tour offerings. Plus, a visitor isn’t paying us tour rates for the extra travel time to and from the airport. We’ve even included two charts on our “Rates” page showing the tour durations from different pickup locations. Visitors most requested Los Angeles sightseeing destinations from LAX: The Hollywood Sign, The Walk of Fame, Celebrity and Movie Stars Homes, Rodeo Drive, Grauman’s Chinese Theater, Walt Disney Concert Hall, Views from Mulholland Drive, The Bradbury Building, The Getty Center, Melrose Avenue, Robertson Boulevard, Venice Beach & Boardwalk, Malibu, The Griffith Park Observatory, The Paramount Studio Gates, The Dolby Theater, Santa Monica, The Hollywood Bowl, Beverly Hills, Bel Air & Holmby Hills, The Sunset Strip, Studios, Filming Locations, Hollywood Cemeteries, The Grove and The Original Farmer’s Market, and famous Scandal and Crime Scene Locations. 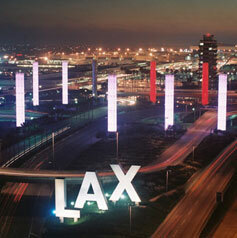 For a full list of tours departing from LAX, visit Glitterati Tours main tour page.